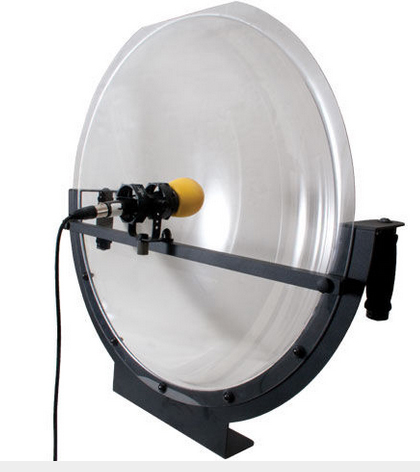 Parabolic microphones have great sensitivity to sound in one direction, along the axis of the dish. When aimed properly, they can pick up far away sounds. 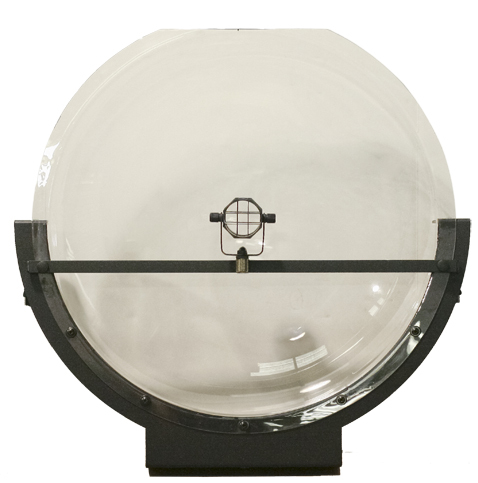 Parabolic mics are used to record long distance audio for sports like football, nature photography, special events, spying and law enforcement. 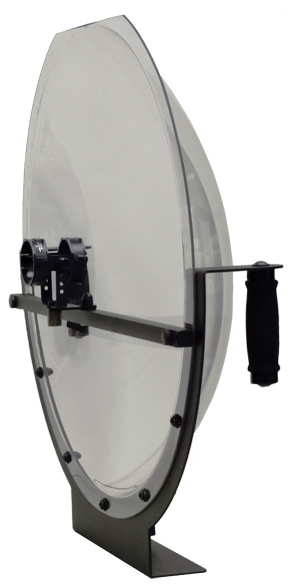 This parabolic mic from Jony Jib has a 24 inch Lexan dish. The aluminum frame has an isolated mic mount for almost any lavaliere, shotgun or handheld microphone, whether wired or wireless. You could also add your own mount. The dish has comfortable hand holds on either side, or it can be mounted on a tripod or monopod with the 3/8th inch mount. It only weighs 6 pounds, but the tripod is helpful for one-man band or long-running shots. Included is a five foot mic cable. When the mic is mounted, you aim it toward the center of the dish. This is where audio is most concentrated. Depending on wind and weather, the range can be as much as 500 feet. The closest range is three feet. This professional unit is easy to aim and quick to set up. If there’s little or no breeze, there is not much difference between being 10 feet or 100 feet from the subject. The sounds captured give new life and vibrancy to the video. In football, for instance, you can hear the grunts of players and the crash of shoulder pads. This adds a lot of production value. For filming wildlife, a parabolic mic brings the bird songs and other natural sounds right next to you. The parabolic microphone is equally capable of capturing distant sounds of events where using a convention microphone would not be practical. Shipping will be quoted separately. The shipping box is 31″ X 31″ X 11″ and weighs 14 lbs.